Samsung as of late has been on a bit of a negative roll when it comes to OS updates and battery life. As we've noted numerous times over the past months, firmware updates for Samsung's Tizen-based Gear smartwatches have caused many woes to users due to excessive battery drain that wasn't there before. Samsung has openly acknowledged the problem, and after months of working on a fix, in November the company released yet another update that supposedly corrects energy consumption on the Samsung Gear S3 and S2. 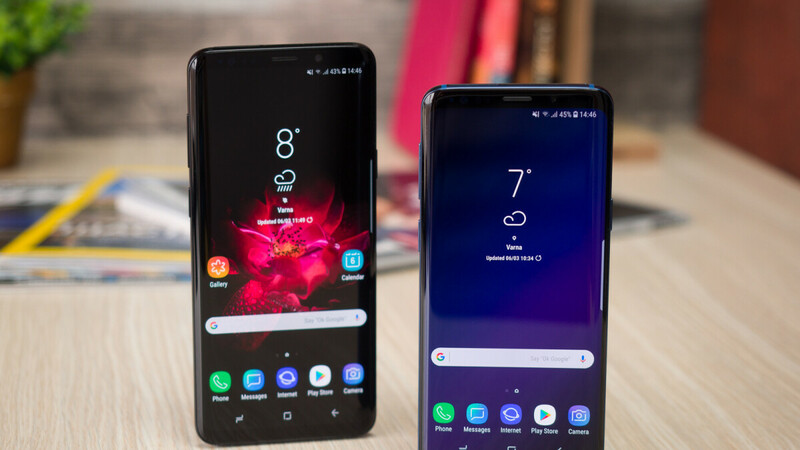 However, this worrisome trend of updates causing battery issues on otherwise stable devices seems to have transcended the realm of wearables and found place on Samsung's latest flagship phones – the Galaxy S9 and S9+. SamMobile reports that after applying the Android 9.0 Pie update to one of their Galaxy S9 phones, the battery of the unit was noticed to suddenly plunge down from 10 percent to 5 percent in a matter of seconds. No matter how power-hungry an app is, even abnormally so, losing 5 percent in such a short time is not normal. That said, since the final Android Pie update is slated to rolled out for the Galaxy S9 and S9+ in January, we can't be sure whether this is an isolated case, or something that is just not widely-known yet. Over the course of Samsung's Android Pie beta program, which has been running for a few months, user reports about battery performance on the S9 and S9+ have largely remained positive. If you have first-hand experience with a similar problem on your Galaxy S9, do tell us in the comments below. Fingers crossed that this is fixed in time for the final release, provided it's not an isolated case. So, I'm on the pie beta 2 (india), that's the equivalent of the 4th beta in the US and is almost ready for release. the major issues as of now are all app based and samsung has to update those apps (like samsung pay, samsung music etc) and not much to fix in the OS. the battery life is just as good as oreo. although the first beta update was the best. it resulted in me getting around 6-7 hours of SOT over 18 hours on a regular S9. After the second beta i'm getting around 4.5-5 hours of SOT over the same period. cell standby seems to be the culprit in the second beta. The best I've ever gotten was right after the Nov, oreo security patch/ monthly update where I got 8.5 hours over 16 hours (i perfomed a factory reset after updating to the Nov patch, also after the first beta and after installing the second beta). Just as good as Oreo? That's strange. All reports of phones that have received updates to Pie have reported that the battery life and memory management is actually *worse* than Oreo. Until there is definitive proof otherwise, I will not be upgrading my phone to 9.0 if/when it comes out for the V30. Memory management was definitely better on oreo but then again you won't notice unless you have a habit of keeping more then 5 apps open at the same time. Battery life is nothing to be concerned of, provided that you factory reset your device after upgrading from oreo to pie. without the reset my device heated up, lagged and the battery sucked. after the reset it's brilliant! Yeah! 9.0 is already out in the Netherlands, Turkey, Germany, Switzerland, Italy and UAE. (I'm talking about the finak build) ... This was released on the 23rd for some of the countries and on the 25th for the remainder. The update should be rolling out to more countries and should be available to everyone by the end of Jan.
note 9 with beta 3 and the battery has never been better, it outlast my mate 20 and the UI Smoothness is just incredible for a samsung phone !! which version are we talking about ? Oh geez, battery from Samsung. No big deal. I’m sure in another 6 months, an update will be released. You know, Samsung takes their time to be “bug free” according to the Samdroids. He doesn't, cause lately iOS final releases perform like betas. I know, since I actually own an iPhone, an iPad, and actually keep it real and honest. My S9 had horrid battery life before Pie was ever available. I switched to a OnePlus 6T because of it. Even without a sim card now the S9's battery tanks with the slightest of use. After the last update, there is a significant change on the battery drainage! My phone was at 25%, then after charging it for 2 hours, it was ONLY at 35%. It took longer to than usual to charge. Then, I've tried to turn on one of my game app, my phone was reset automatically! Once it turned on, my battery percentage was at 0%! This is a total disappointment & it needs to be fix ASAP! My battery/ phone were working just fine before this sorry update!! !